Heston, Middlesex, Rose and Crown pub before 1911. 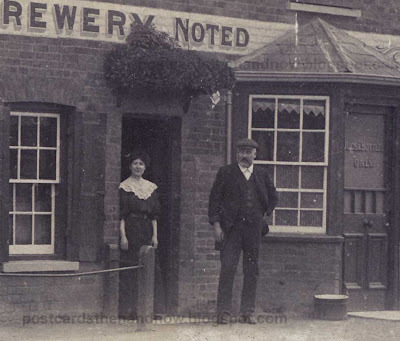 The people in the photo are probably the landlord, William Spencer Wright and his wife, Hannah Lent Wright. William died in 1911 at the age of 54, so this photograph would have been taken a little before then. 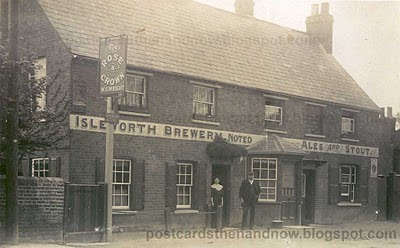 The Rose and Crown is still in business. Also see this post for a nearby view. That's remarkable, the building has hardly changed. But it's a shame it's been painted. Wonderful. I'd love to see the interior too. My parents and close family drank in the Rose & Crown for years, from Ivy Brown, Tony & Edna Newell, brilliant days and was a lovely pub! Also my Uncle owned Heston Garage (Bill Biggs), I went to school at Heston Secondary Modern and youth club at Heston Church. Still thankfully a pub. So many have closed down recently. 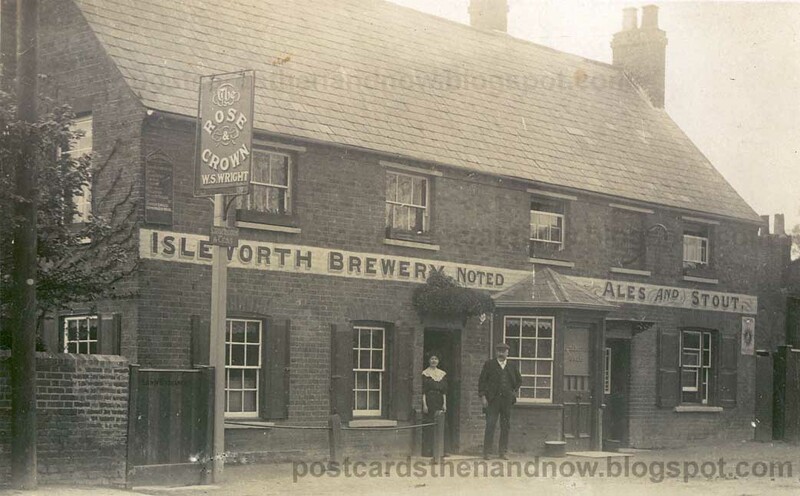 I always wonder what Isleworth brewery ales and stout would have tasted like.